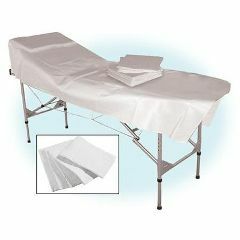 W.R. Rayson Spa Table Cover 36" x 72"
Disposable sheets reduce ruined linens and expensive laundry bills. Also use as a client drape. 12 count.